Popular television actress Shivshakti Sachdev has been roped in to essay a pivotal role in SAB TV’s Khidki’s latest story titled, Har ek friend namuna hota hai. 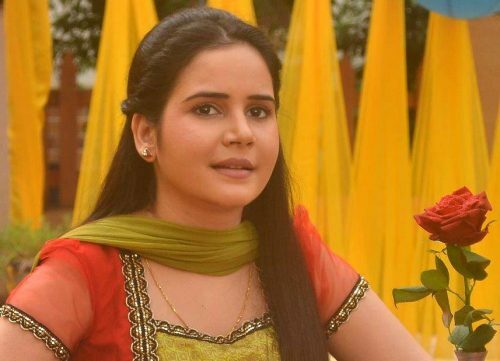 Shivshakti has appeared in over 15 television shows in the past 6 years and this is the second story for Khidki where she will be playing the lead. The story is a romantic love comedy and Shivshakti will be playing the character of Disha who is a bubbly and sweet girl. The plot revolves around two childhood friends, Raju (Anshumal Trivedi) and Prem (Aakash Singh) who fall in love with Disha and try to woo her for marriage. Both the friends are of marriageable age and consider Disha as their prospective bride. Har ek friend namuna hota hai, unravels the various twists and turns that the characters encounter in this love triangle. Who wins over Disha’s affections and what happens to the friendship of Raju and Prem makes for the basic premise of the story.